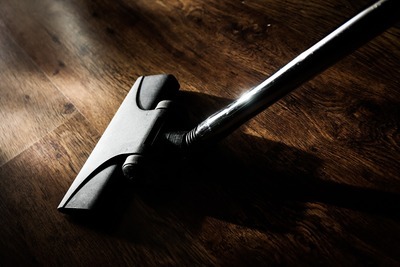 Cleaning - The one household chore that no one likes doing. But unless you have the spare cash to hire a professional cleaner, then its sadly a job that we’re all stuck with. But the good news is that there are a few handy ‘hacks’ that you can use to speed up the cleaning process, without breaking the bank. Combine liquid soap, eucalyptus oil and baking soda for a powerful cream cleaner to scrub the bath. Use Rubbing alcohol and a microfiber towel to remove annoying nail polish stains from your carpet. Put an old fluffy sock inside out and use to clean the tops of your fans. Use the same sock technique as above to clean your blinds. Clean your air vents to look like new with a butter knife and a rag. Clean the disgusting gunk from the grooves in your kitchen cupboards by using a toothbrush, vegetable oil and baking soda. Use shoe polish to bring your leather sofa back to life (Just make sure you buff well before sitting down). Toilet bleach is the easiest way to remove mold from the tile grout in your shower. Toilet bleach is also fantastic at removing rust circles under tins in your cupboards. 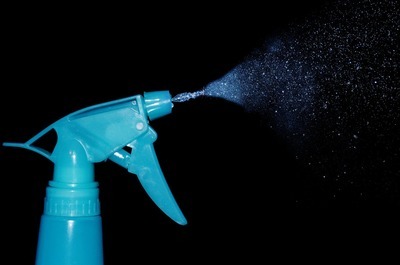 Use canned air and a thin nozzle to blow out dust and blockages in your bathroom exhaust fan. Not only will it work better and run quieter, but it’ll dramatically decrease your chance of an electrical fire. Remove pet hair from your carpet by using a squeegee. eliminate lipstick stains by spraying with hair spray, leaving for 15 minutes, then wiping off with warm water. Use baking soda to remove annoying coffee cup stains. Use toothpaste and your toothbrush to clean your engagement ring. Eliminate lingering aromas from your spice or coffee grinder by grinding white rice after use. Get out a bottle of coke to help clean up oil stains on the concrete in your garage. Sick of your shower spraying every direction? Fill a plastic bag with white vinegar and put it over your shower head. Tie it up with a rubber band and let sit for an hour, then rinse off. Get your glasses shining again with vinegar and paper towel. Clean your dryer duct with the vacuum. It’ll save you power and reduce your chance of an electrical fire. Backed food onto your glass bake ware? Scrunch up some tin foil, add soap and scrub. professional cleaning company for help. Coke for oil on garage floor is concerning. LOL. Should we be putting this stuff in our guts?